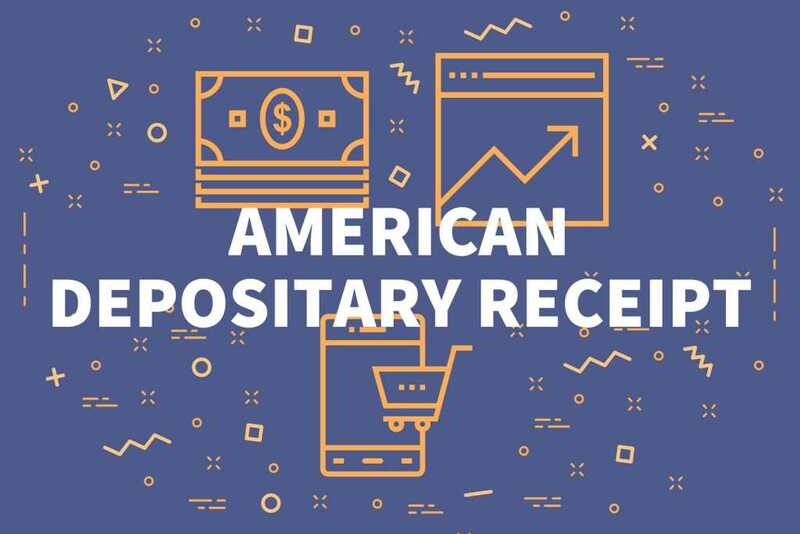 American Depository Receipts (ADRs) are stocksStockWhat is a stock? An individual who owns stock in a company is called a shareholder and is eligible to claim part of the company’s residual assets and earnings (should the company ever be dissolved). The terms "stock", "shares", and "equity" are used interchangeably. that are sold in the US market but represent ownership of the underlying shares in a foreign company. An ADR trades in US dollars and they allow investors to avoid the risk of transacting in a foreign currencyForex Trading - How to Trade the Forex MarketForex trading allows users to capitalize on appreciation and depreciation of different currencies. Forex trading involves buying and selling currency pairs based on each currency's relative value to the other currency that makes up the pair.. Before the introduction of American Depository Receipts, investors faced difficulties in buying shares in foreign companies and dealing with the different currency values. With American Depository Receipts, investors buy the stocks from US banks that purchase a bulk of shares from the foreign company through a custodian bank in the home country. The US bank then bundles the shares and reissues them on the New York Stock Exchange (NYSE)Stock MarketThe stock market refers to public markets that exist for issuing, buying and selling stocks that trade on a stock exchange or over-the-counter. Stocks, also known as equities, represent fractional ownership in a company and NASDAQ. Investing in ADRs gives investors a more diversified portfolio and protects them from political, currency and inflationary risks. Diageo is an alcoholic beverage company that is located in the United Kingdom. It’s been making efforts to expand its market in the United States. It trades on the NYSE under the symbol DEO. Four ordinary DEO shares represent one Diageo ADR. Diageo’s dividend yield is about 3%. Teva Pharmaceutical Industries is a Tel Aviv, an Israel-based manufacturer that specializes in generic drugs and specialty medicine. It owns one of the broadest portfolios in the industry, and it trades on the NYSE under the symbol TEVA. Teva returns a dividend yield of approximately 3%. GlaxoSmithKline is a global pharmaceutical and healthcare company that is located in the United Kingdom. Established in 1999, it is now of the market leaders in the healthcare industry. It trades on the NYSE under the code GSK. With the broad line of products, new products growth, and restructuring plan, the outlook for GlaxoSmithKline looks promising. It pays a dividend yield of around 5%. Infosys Limited is an India-based IT company that provides business consulting, information technology, and outsourcing services. It was ranked as the second-largest Indian IT company in 2017. It trades on the NYSE under the symbol INFY. Infosys returns a dividend yield of about 2.5%. Siemens is an energy conglomerate company that is headquartered in Munich and Berlin. It is the largest manufacturing company in Europe. Siemens specializes in electrification, automation, and digitization. Siemens delisted from the New York Stock Exchange in May 2014. It maintains its ADR program on a Level I basis and it trades in the US in an over-the-counter basis only. Two Siemens ADRs traded in US dollars equal to one Siemens ordinary share. Siemens’ dividend yield is about 3.4%. Novartis is a Swiss multinational healthcare company that is headquartered in Basel, Switzerland. It is one of the largest pharmaceutical companies in the world in terms of sales and capitalization. It is listed on the NYSE under the trading symbol NVS. The company owes its current success to M&A transactions and direct investments from high net worth investors. Novartis pays a dividend yield of about 4%. Total S.A. is a France-based energy company and is the world’s fourth-largest international oil and gas company. As an energy company, its stock prices are affected by the volatility of oil prices. The dividend yield from Total ADRs is about 5.5%. An American Depository Receipt represents the number of underlying shares that an American investor owns in the underlying shares of the foreign company. It may be expressed as a fraction of a share or multiple shares of the foreign company. For example, four Diageo Plc ordinary shares represent one Diageo Plc ADR. It can be expressed as a ratio, i.e., 4:1. Similarly, one ADR could represent half of an ordinary share of the foreign company. This can be expressed as a ratio, i.e., 0.5:1. The price of an ADR is determined in a way that American investors are able to purchase the foreign company’s stocks and still maintain the quality of the stocks. Once an American Depository Receipt is listed on the NYSE, its prices are determined by the forces of demand and supply. It means that its issuers lack control over the price of the ADR. In most cases, the price of an ADR tends to follow the trends of its parent shares that are trading in the country of origin. For example, if a Chinese company sells its ADR on the NYSE, the price of these stocks may be influenced by the prices of shares on the Shanghai Stock Exchange. If a major event occurs in the foreign country, e.g., a lawsuit loss or a ban on the company’s product, the effects of this event may reflect on the prices of the ADR stocks trading on the NYSE. However, sometimes the prices of the ADR and ordinary shares in the foreign company may vary considerably, creating an arbitrage opportunity. Some large investors with large capital may move in to capitalize on the price difference between a company’s ADR and its underlying shares using short-term trading strategies. Arbitrage is common among institutional investors with access to more trading capital, trading specialists, intelligent software and up-to-date news to exploit such opportunities and earn revenues from short-term price differences. Some currencies are very volatile, and a company may be profitable today but become devalued within a short period due to currency fluctuation. When buying American Depository Receipts, consider the stability of the ADR’s home currency and its history against the US dollar. Constant currency fluctuations can result in significant losses to investors. An ADR is affected by the home country’s political stability and sanctions. Before investing in an ADR, research the current situation in the issuer’s home country and be familiar with the local news. If there are sanctions to and from the country, the ADR prices will be affected. Inflation represents a loss in the purchasing power of buyers and a rise in the prices of goods and services. Inflation is an extension of the currency risk, such that, if the home country experiences high inflation, it will make its currency less valuable and this will affect the ADR prices.